Sunair Solar is a renowned commercial solar power system installer. Solar power installations can prevent economical and productivity dents that slow down your company’s progression. While utility bills take away a major share of your revenue, there are better alternatives. Sunair Solar’s founders, Stephen and Steel Guiliana, have specialised in solar panels since 2010, with their team completing thousands of installations across NSW. Sunair believes in affordable commercial solar panels supplying clean energy along with commercial benefits. 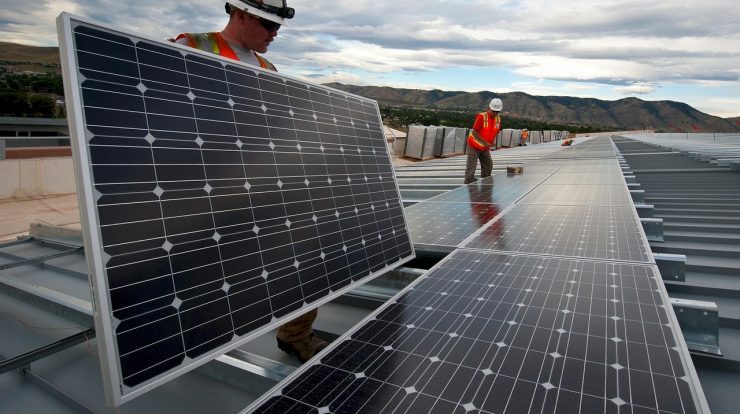 Let’s have a look at how commercial solar panels can benefit your organization. Why should you buy Sunair Solar’s commercial solar power systems in Australia? Rebates: The Australian government offers significant rebates to encourage investment in commercial solar power, as it is the cleanest and greenest type of renewable energy source currently available. Rebates come in the form of credit discounts, allowing an upfront refund. For small businesses with an annual turnover of less than $2 million, you can get a tax break worth $6,500. You can also trade STCs or Small-scale Technology Certificates for cash. Backfeeding: Backfeeding refers to solar power systems generating surplus energy that can be fed back to the power grid. When your solar energy system produces more energy than you can use, it gets pumped back to the grid. Using net metering, you can find out how much power you have consumed in proportion to how much you have generated, and make use of the excess energy during peak hours. Feed-in tariffs: If you are generating more energy than you can use, you can receive feed-in tariffs by selling the unused electricity back to the utility providers. No Blackout: On exceptionally cloudy days, if your solar energy system is not generating enough energy, you can easily switch to your non-renewable electricity supply at that time. CSR (Corporate Social Responsibility): The installation of solar power panels saves millions of dollars in utility bills, which may allow you to contribute more to your community. Green Fuel: Solar energy is considered a green fuel, as it produces energy with much lower environmental impact. Please send us an email or call us directly if you have further enquiries. We’d love to hear from you!